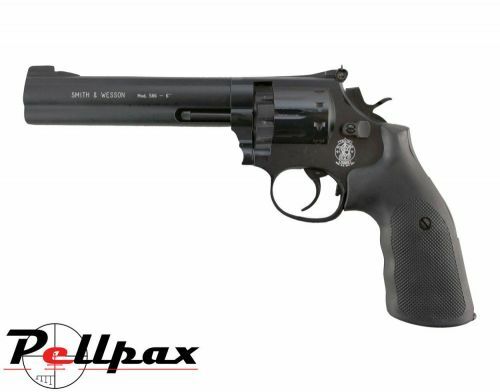 The model 586 is based on the legendary .357 magnum and features a 6" rifled barrel that is exceptionally well made and provides great accuracy and is exceptionally long lasting. The 586 matches the live firing version of this revolver in both size and weight and gives this revolver and added sense of realism. the pistol grip is textured for a sure hold and is ergonomically shaped for maximum comfort. Capable of holding up to 10 pellets in its magazine, the 586 is suitable for most shooting disciplines thanks to its semi automatic action. The pistol also comes housed in a hard case. Add this item to your basket & spend an extra £290.01 to apply for finance.